The 19 year old from Kings Lynn has been known in the motorsport world for a few years now. However, it’s only been recently that people have sat up and taken notice of this British driver. In 2014 Russell participated in BRDC Formula 4 championship with Lanan Racing. He went into the last round in a four way title battle with Sennan Fielding, Arjun Maini and Raoul Hyman, the latter two now reunited with Russell once more in GP3. Russell started on pole and went to win the race therefore winning the championship by just three points to Maini. As a prize for winning, Russell got his first taste of a GP3 car testing with Arden in Abu Dhabi that same year. 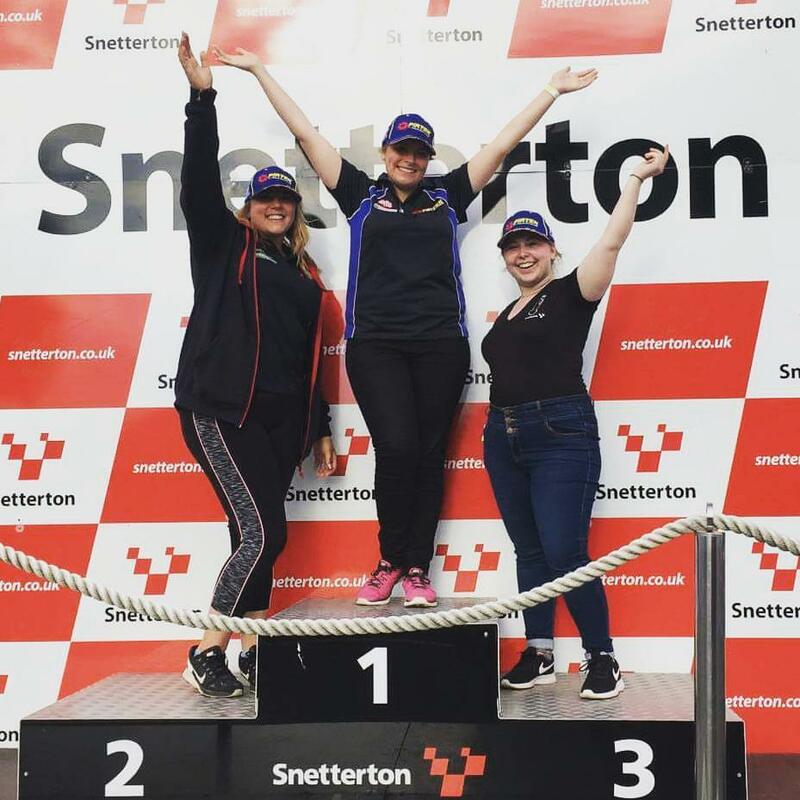 The year ended even better when the Brit won the highly prestigious McLaren Autosport BRDC Award, beating off stiff competition. This time his prize was a Formula One test with McLaren themselves. Russell then moved up to Formula 3 racing with Carlin. At the first round in Silverstone, Russell was racing against Charles Leclerc and Antonio Giovinazzi, who are both currently well-known and respect names in the F1 paddock this year. Russell won his first race in the opening round and added two more podiums to his count during the year. He finished sixth in the championship in his first year and runner-up in the rookie championship to the aforementioned Leclerc. He continued with F3 for 2016 but this time switching to Hitech GP. He scored two wins during the season, taking ten podiums overall and third in the standings. A clear sign the Brit had improved and learnt from his rookie season. Following the end of the GP3 season, Russell took part in the post-season test with ART and subsequently announced in January 2017 that he had signed to race ART in GP3 this year. Russell took his first win in Austria taking the good momentum to Silverstone the following week claiming pole which Russell converted into his second race win of the season. The same day he announced his GP3 seat, he also confirmed he had joined Mercedes as part of their junior driver programme. Russell has confirmed he will be driving for Mercedes on both days at the young drivers test in Budapest in August. Something I am sure not only Mercedes but other teams may be watching as well. Russell has clearly always been highly rated and well respected and it is clearly a matter of time until he is racing in F1. 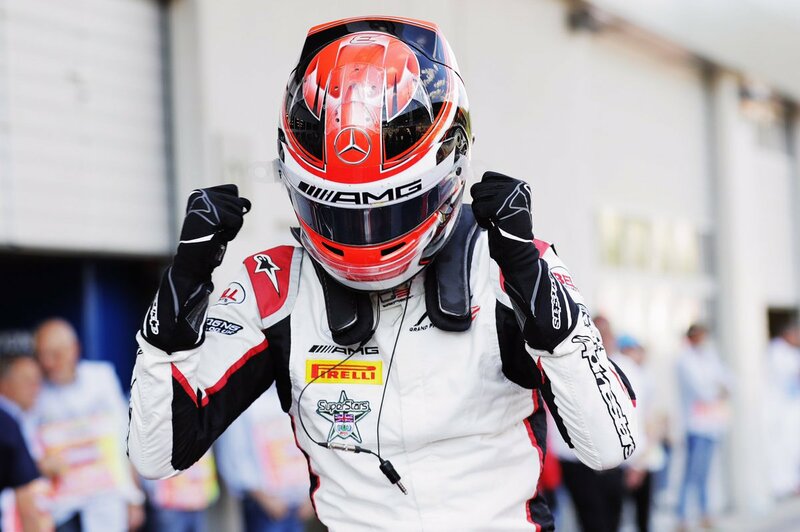 Another driver in the junior programme with Mercedes is Force India’s Esteban Ocon who made the jump from F3 to F1, so it may be sooner than we all think. 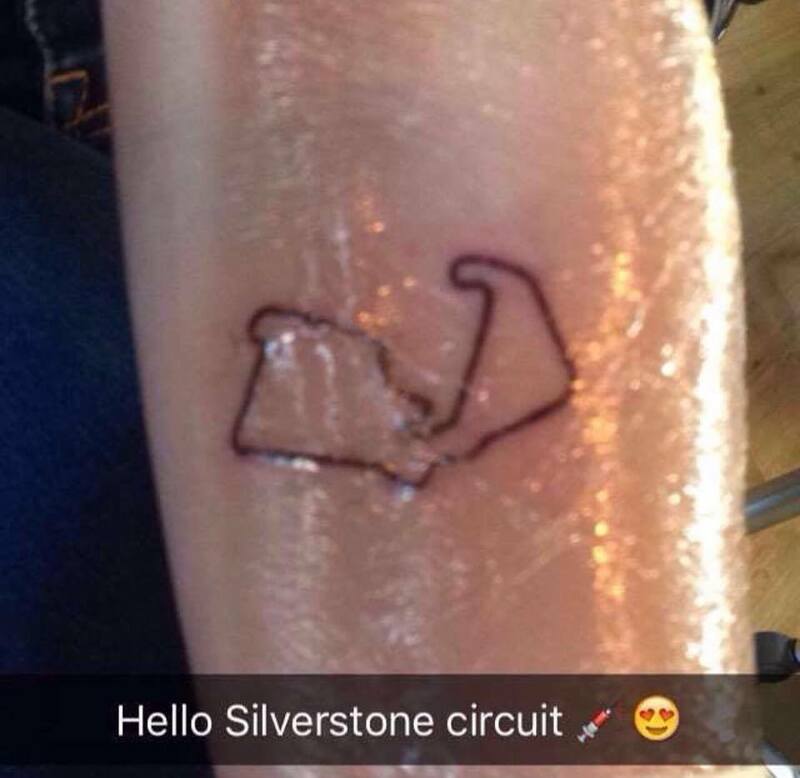 Keep your eyes out for this brit, has potential to be the next Lewis Hamilton. They make up the racing calendar for the year, they offer different characteristics and challenges. I have a few from BTCC and F1 which I love so I thought I would share them with you and see if you agree with me or not. Lets start off with BTCC tracks. I love Snetterton from a fans perspective. There are great corners which allow for close driving and overtaking opportunities. The Senna straight from a fans perspective is incredible, You see overtakes all over the place and last year there was a massive crash right in front of me. The track was never short of action and has amazing viewing points. Long straights and tight corners, mix of everything. Brands Hatch offers a lot of entertainment. There is a reason it starts and ends the season. Just walk up the big hill when you have energy not at the end of a hot day, rookie mistake! The main straight is long enough there is lots of action and the uphill first corner together are a right pair. Plus the last few corners just ask for over takes. You can see so much of the track and get so close to the action. Going back to the main straight, if something happens down there you can see it, whether its seeing them go round the first corner, coming out the last corner or watching them get off the start line and seeing who gets the best start. Croft has to make this list. I haven't been to this track myself like I have with the others but from seeing it on TV it never fails to give us a good race. You are pushing 100% on this track, one mistake and someone is overtaking you, going off can lead you straight into a barrier or even a field, which did catch people out from BTCC and F4. I remember never taking my eyes off the race. It is a track that is on my list of one to go to. Im going to keep BTCC at three so I dont repeat myself too much because every track they go to is action packed and is worth watching. Right F1 time now and like with BTCC tracks I am taking into consideration the other categories that go round with the main championship. Silverstone is one of my favourite obviously. Unpredictable weather just adds to it. It's the only race track I've gone to see F1 at, I have also seen BTCC there, it has a lot of memories there for me. That feeling of seeing some of my favourite drivers going round my home track is one I can never describe. I also can never get away from this track as it is permanently on my arm! I have also camped there for WEC which was incredible, what a track. Monaco is one every fan dreams of going to. The beautiful country offers home to the classic circuit in which if a driver makes a mistake it is costly for them. It is one of the three to win along with Indy 500 and Le Mans. That really highlights how important this track is. It challenges every single driver, even the best and champions make mistakes which is normally race ending. It may not offer a lot of overtaking opportunities which is a downfall however it forces drivers who are really determined to also be very brave and clever to pull off an overtaking move. Yas Marina would be insane to attend. Offers great racing, normally because it is the last race of the season and everyone is fighting their hearts out. Most drivers have nothing to lose depending on if the championship has already been won but there are always teams battling to the end in the constructors. It is also a night race which you cannot hate, sparks flying off the cars and the lights shining down on them, the track itself is a decent lay out, you can overtake but not too much. It is a good all rounder, a driver doesn't have to rely on qualifying, if they have a bad one they can make their way through the field. Although saying that the field is closer than ever this season. I believe it is the perfect track to end the season. I do like a lot of tracks, I actually have no issue with any, these are just my stand outs for BTCC and F1. Some of these tracks I have been lucky enough to go to and others I am working hard towards. These are just my stand outs and you may disagree with me which I respect fully and would love to hear about. After all, we are all fans and support different teams and drivers and will like some circuits and not others. I am having some serious BTCC with-drawl symptoms already. However, it fills my heart knowing that at the end of July I will be at Snetterton for the whole weekend. If you weren't aware I camped last year at snetterton for BTCC and it was incredible. This year I am wiser, more motivated and happier. There is no where else I'd rather be that weekend. It is going to be incredible and there's lots of reasons why. Firstly, I shall be reuniting with some of my best friends Hannah, Gemma and Becki (we got Becki into it at media day this year). I dont get to see them a lot and it's where I first met Gemma and Hannah so I think it's going to be a tradition now! Hannah and me are literally double trouble, same humour, same sort of personalities. Gemma is the adult of the group, the one that calms us down. Becki well this will be her first camping BTCC weekend. Unlucky for her she is sharing a tent with me! But the gang will be back together for over two days. Also, Hannah and Gemma are so good at camping, me on the other hand awful! So hopefully with them it will be better. Although they basically saved me in the rain in my small tent last year. That's how we become friends, they took pity on me! But waking up to the sound of cars round a track is one of the most incredible feelings in the world. I do enjoy camping, especially with them last year. I also want to improve my camping skills a lot so if anyone has any tips or advice let me know! I love not having to get up earlier than I need to and worry about queues and getting there by a certain time because i'm already there. Plus the track and paddock after most people have gone is quite nice, its quiet, you have access to places. For example last year we went on the track and on the podium. An obvious reason why I am so excited it because the action in each series will be immense. Straight after the summer break, everyone all rested up and ready to go out there and fight. Plus Snetterton is a good track in my opinion. I find if you sit along the senna straight you can see a good third of the track. Drivers, teams and fans are all going to be raring to go and get back racing again. Also, being at a racetrack gives me anyway a special community feeling. Like I could go up to anyone and have a chat with them because we're all there for the same reason, to watch amazing racing. Every series has been action packed, BTCC, F4, Clio cup, Ginetta, you name it there has been incredible racing and will continue to be. I cannot wait to be back at a track and it will feel like I will be at home. Racing and friends, what else could I ask for? I may also have a few interviews lined up with drivers from a couple of different categories, if there is anyone you want to try talk to let me know. I am also going to be vlogging my weekend. I always thought if I did videos it would be something I would watch someone else do. And I love watching people have experience and feel like I am there too. So that's something i'm going to do. 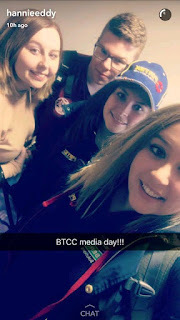 I want to encourage as many people as possible to watch BTCC and all the other categories and go to their events. I can sit here and tell you everything I love about it and why it is so good but I want to show you as well because actions speak louder than words. If you were thinking about going or happen to be free and near Snetterton on the last weekend of July do come down and give it a chance. You will not regret it.